One of the first signs of spring is the emergence of the little black stonefly in many streams in the East. A variety of stoneflies (Order Plecoptera) in different sizes and colors follow suit throughout the season. Stoneflies are often overlooked by many Eastern anglers as mayflies and caddis are much more prolific. They rarely show up in any great numbers and their timing is not very predictable. Still, it is an important insect to understand for both nymphing and dry fly fishing. In the Western states stoneflies are held in high esteem as anglers anxiously anticipate them for their large numbers and size (Video). Generally, stoneflies are the largest of all insects that live in the water. Like many insects, stoneflies have a successful lifecycle that dates back over 250 million years to the Permian Period and not much about them have changed. Stoneflies have the characteristic six legs of insects, but four wings that are folded flat on top of the abdomen. Coloration is black, brown, yellow and tan. Despite 200 million years of evolution they are considered awkward fliers. Some general lifecycle traits of all species start with the females depositing hundreds of tiny eggs over a stream that quickly find their way to the bottom among the rocks. Nymphs then grown and molt 12-36 time before leaving the water. Some species can require up to three years before they mature into adults. 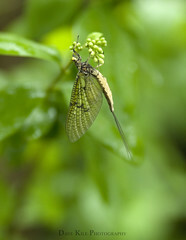 As nymphs they can be found under rocks feeding on algae, mosses and even other aquatic invertebrates. While Mayflies and caddis flies emerge out of the water, most stoneflies hatch from the shore line. Each species varies, but stoneflies will swim to the banks and crawl out of the water onto rocks or plants to molt into winged adult insects. Stoneflies are regarded as more nocturnal and you will more likely see the molted shucks and not see the actual emergence. 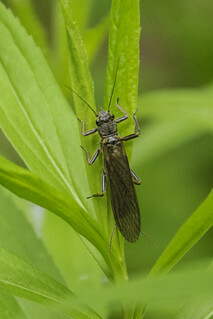 Another difference between Mayflies and Stoneflies is that many species will have mouths and can feed during the weeks they live as adults before finally mating and dying. Seeing active stoneflies and shucks is a good sign to start fishing with a stonefly nymph or a stimulator dry fly. A great online site to follow and get deep into the latin is Troutnut and his Aquatic Insects of our Trout Streams. A must read!! BugGuide has more details as well. There are no absolutes in fly fishing and that’s why I refer to this approach as a theory. While this “theory” produces good results, there will be times you will have to adjust your way of thinking as there are no absolutes in fly fishing. What I’m referring to is trying to get inside the mind of a wintertime feeding trout. Think about it, wintertime is a period when these cold blooded critter’s feeding habits slow down as water temperatures drop. In many river systems, trout begin to drop back into the slower moving bodies of water in an effort to expend less energy. Although their metabolisms may slow down, feeding is still on their mind and the wintertime can be the right time for the angler to venture out to the river. Often the most popular sections are void of anglers and I’ve had several days where the action would rival a May sulphur hatch. 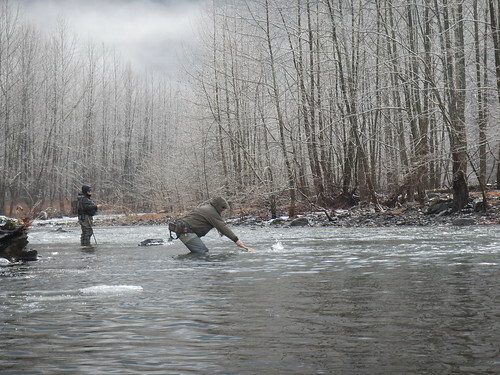 A wintertime feeding trout may not always mirror its springtime foraging behavior, but trout still need to eat and a larger presentation may be the ticket. Sometimes all trout need is a little encouragement so I often call upon larger patterns to create that desire. By larger, I’m referring to nymph patterns as large as #4 and small as a #10. Yes that big-even on spring and limestone streams. Think about this, trout feel sluggish and less motivated to continuously chase small food items down during these cold winter months. Instead, it seems logical that trout would be willing to spend less energy chasing down larger food items. Move less and obtain more calories! Large stonefly, caddis, egg and worm patterns are my usual wintertime suspects. Nymphing is normally my first choice as I can slowly present the flies. Streamer tactics also work well but only when trout are feeling up to the chase. The idea is to present a pattern that can fulfill a trout’s hunger with only one energy surge. In many ways, this relates to human wintertime eating behaviors. During the warmer months I find myself constantly snacking throughout the day-mostly due to my high level of physical activity (Fishing, playing with my kids, my daily workout regiment and so on). However, I snack far less during the colder winter months as I expend less physical energy (less daylight=less playtime). This theory also plays out well for me when targeting trout during extreme cold weather conditions. Trout may indeed feed less during the winter but I believe they become more opportunistic foragers. Many of the live bait fishers I stay in contact with have their greatest results fishing larger baits (sculpins, night crawlers, and live crayfish) in the slower moving waters during the winter months. The moral of the story is you still need to be dynamic-change when necessary but don’t be afraid to present larger than average patterns during the wintertime. I think you will be pleasantly surprised with the results. 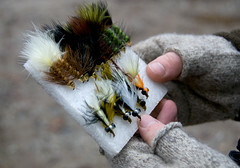 George Daniel has served as assistant manager at TCO Fly Shop, in State College, PA. He travels the country conducting fly-fishing clinics for various groups and organizations. 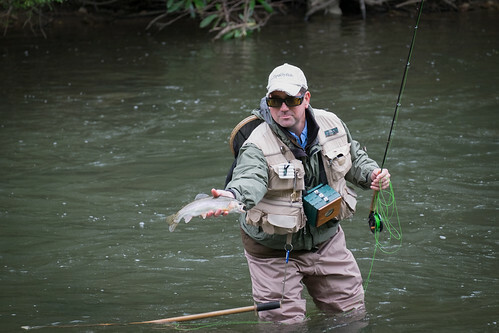 George has been associated with Fly Fishing Team USA. Some of his accomplishments include being a two time national fly fishing champion, won The Fly Fishing Masters, and ranked as high as fifth in the World along with other competitive achievements. George is author of two books about nymph and streamer fishing. He lives near Lamar, Pennsylvania. If you want to keep up with George in the Internet you can follow him on his Facebook page here. 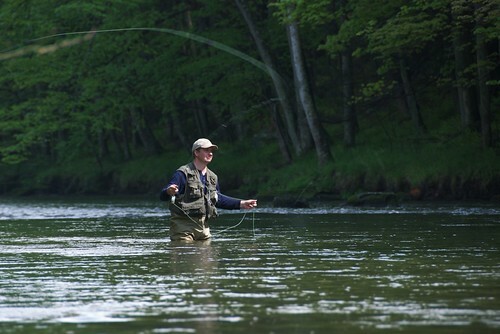 Paflyfish is a popular spot for fly fishing anglers in the region for many good reasons. There are all sorts of great conversations and information shared in the forums on a host of different topics. We are very fortunate to have so many folks not only provide information online in the forums, but help out beginners at clinics and instructional jamborees. Also there are some darn smart anglers on the site coming from all walks of life. The site is filled with thousands of great post and threads that offer any angler any opportunity to expand their fly fishing opportunities. This section will be a dynamic page for beginners to find an index of information to get started with fly fishing. As relevant blog posts and threads are collected they will be added for quick and easy topics. What Fly Rod and Fly Reel to get? Fall fly fishing in Pennsylvania offers anglers an awesome opportunity to enjoy cool, colorful days on some spectacular streams. Anglers will appreciate the solitude of fall fishing while others are busy with different fall activities. 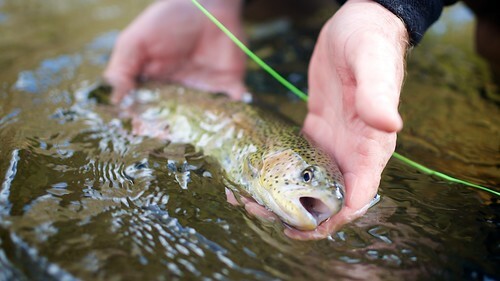 There are plenty of streams across the state with trout and hatches to keep you busy on familiar waters and even going after some streams you’ve been thinking about. Just like in the spring, you’re looking for trout and good water. 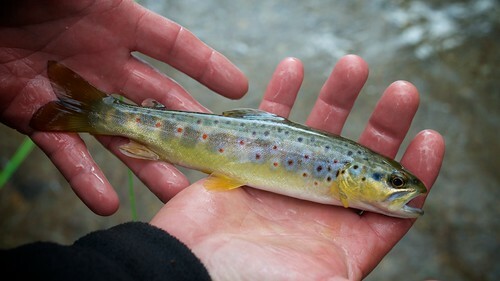 There are plenty of streams that have naturally reproducing trout as well as stocked waters by the Pennsylvania Fish and Boat Commission (PFBC). 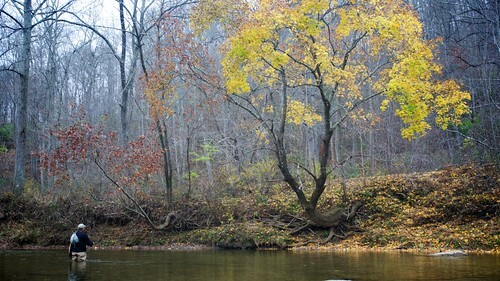 However, the PFBC only provides very limited stocking on select streams during the fall, which starts at the end of September through the beginning of October. As the weather begins to change, so does the entomology or insect life in the stream. Activity will differ from region to region, stream size, summer water temperatures, and geology. The fall provides a more limited selection of insects, and often, anglers enjoy bringing a more modest selection of flies and imitations. Some of the more popular collections include Slate Drakes, BWOs, Caddis, terrestrials and egg patterns. Typical nymphs and streamers are always part of the mix. About 40 streams are stocked after the start of fall by the PFBC. 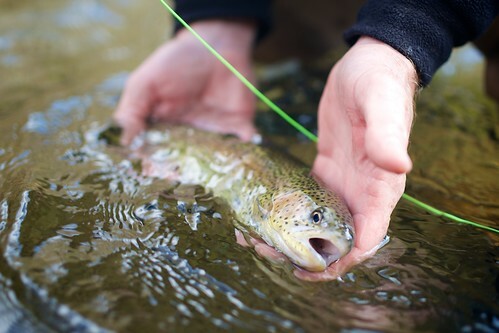 The amount of trout is not close to the spring stockings, but offer increased angling opportunity to some of the more popular Special Regulation streams across the state like Tuplehocken Creek, Ridley Creek, Oil Creek, Neshannock Creek, Little Lehigh, Little Pine Creek, Bush Kill, Kettle Creek and Laurel Hill Creek, to name a few. The full list of fall stocked lakes and streams can be found here in a PDF. Some private clubs and Co-operative Nurseries also provide some stockings beside the PFBC, but these details are not publicly released. There are hundreds of these streams across the state. Some of the more popular streams are Penns Creek, Little Juniata and Spring Creek. There are hundreds of streams across the state in this category, and a full PDF listing can be found here. Not all Class A stream sections are on public land so always ask permission from land owners when approaching Class As or other wild trout streams. The wild trout in these streams behave and act differently than their pellet raised brothers. 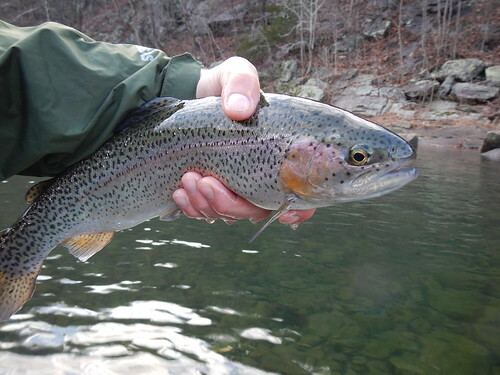 You’ll find these trout having lived a season or two and are well adjusted to their environment. They have survived the heat of the summer, floods, predators and have seen hundreds of anglers casting all kinds fly’s past them. Anglers who know the waters, conditions, and entomology of the fall will be rewarded for their knowledge with some fun but challenging trout. “Wilderness Trout Streams are a sub-group of wild trout streams; some Wilderness Trout Streams also have a Class A designation based on meeting a minimum biomass threshold. 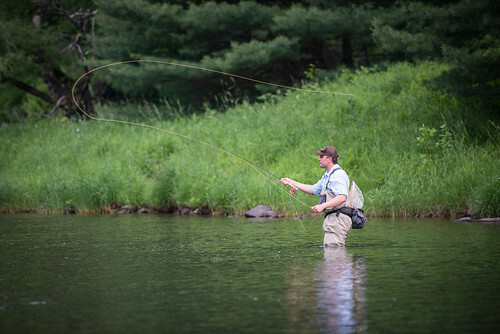 Under 58 Pa. Code §57.4, it is the Commission’s policy to manage wilderness trout streams where stream remoteness and populations of wild trout combine to offer sport-fishing opportunities for anglers in a wilderness setting.” – PFBC. Often these remote wild trout stream areas share use with Hunters so always carry some blaze orange with you to help you to be recognized by hunters. These streams offer anglers a unique experience of often remote and out of the way streams with wild trout. Hopefully, anglers who make their way to these streams are rewarded with native brook trout in some great settings. These are often small feeder streams and those no-name streams you roll past getting to bigger, more popular stocked waters. These streams should be treated with great respect due to their fragile and unique environments. 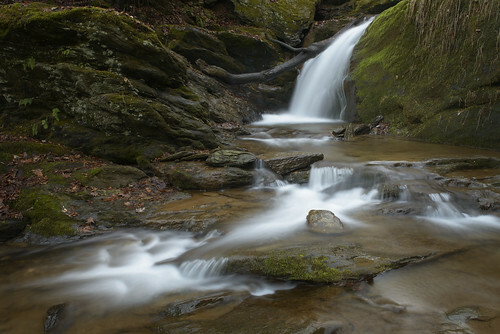 However, these streams are not all in the remote mountains of the state, but can often be found just around the corner of your home if you search a little. Anglers with a sense of adventure, stealth and respect can have a lot of fun with little gems scattered throughout the state. Generally, we ask that you not even post a stream report for these special streams to keep the traffic and adventure optimal. For more detailed designations on all the wild trout waters from the PFBC, anglers will enjoy the PDF publication - Pennsylvania’s Wild Trout Streams. Reproduction plays an important part of the trout lifecycle during the fall months for both brook and brown trout. Brook trout, native to the Eastern US, usually spawn during late September through October. Brown trout typically spawn in October through late November. However, each stream is very different when this actually occurs. During the spawn, the coloring on the trout will intensify, especially in the males. Females will create gravel beds called "reds" for the dropped eggs to be fertilized. It is very important avoid fishing these sections on streams when you see redds and be careful not to kick them up when wading. It is probably best even to leave trout overtop redds alone and give them a chance to protect the eggs. Enjoy your fall fly fishing and add your stream report to the forum to share with others when you return.